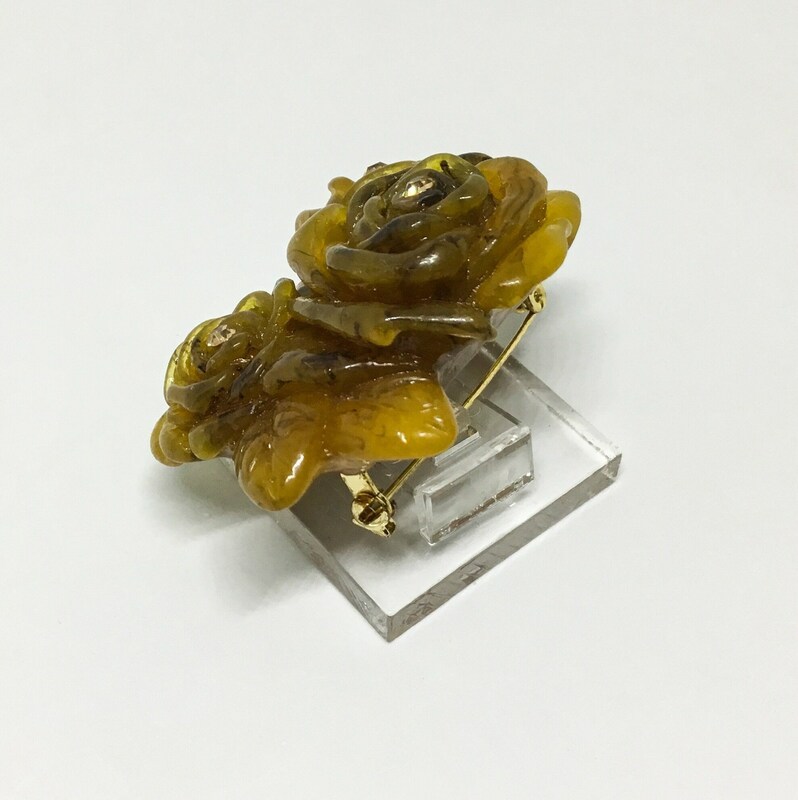 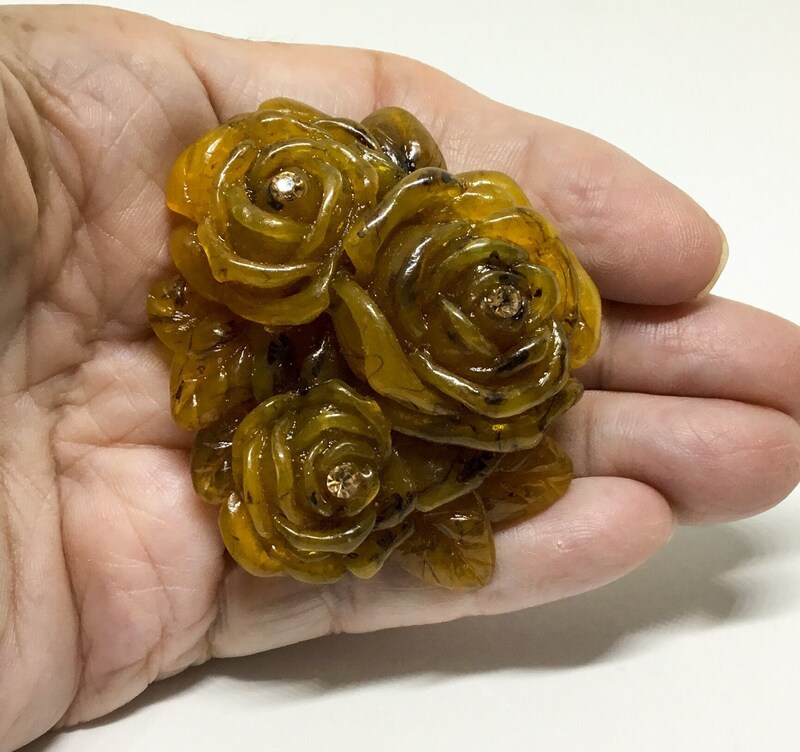 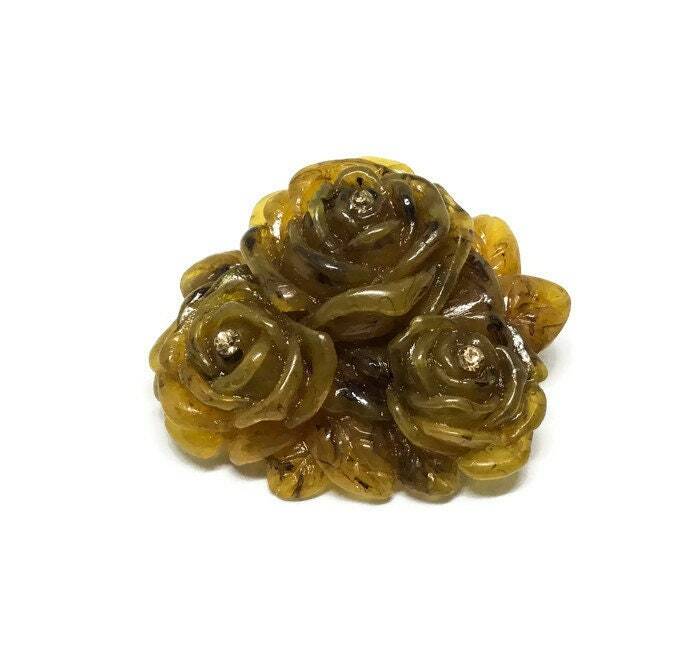 This a unique vintage resin rose brooch. 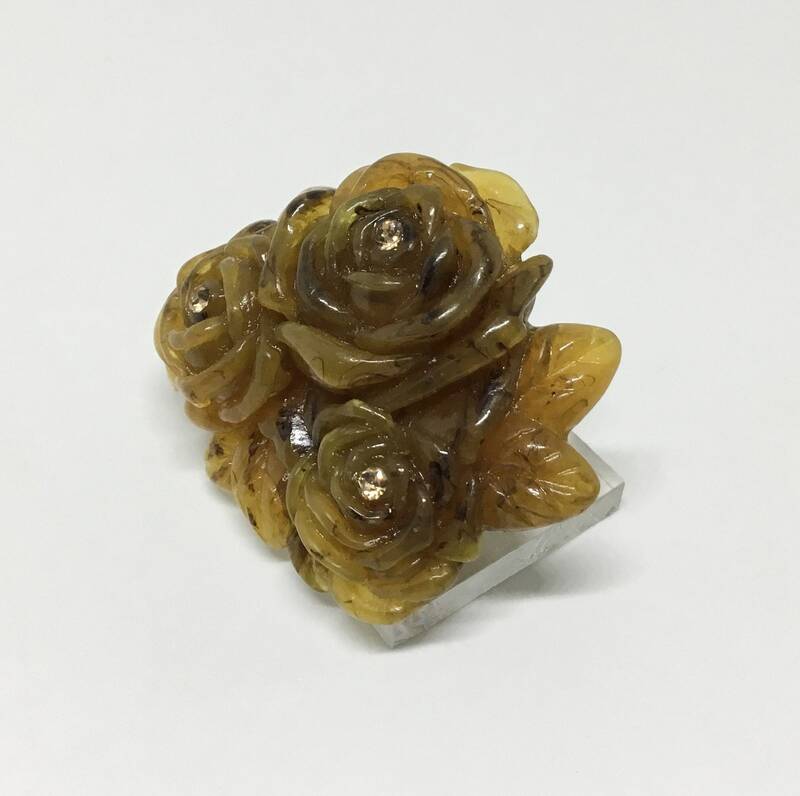 There are three roses with light amber faceted rhinestones. 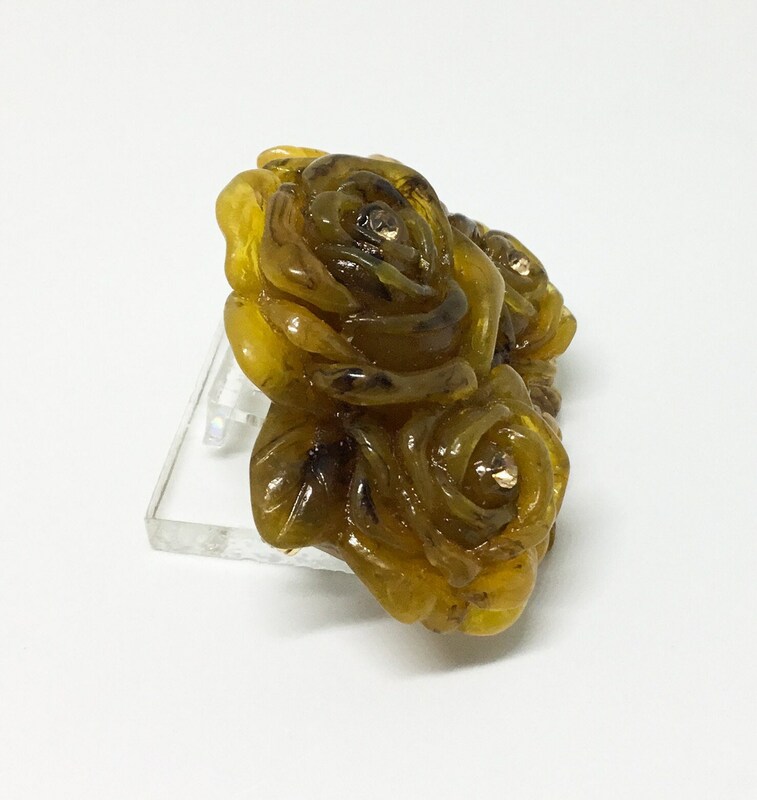 The molded resin is a carmel swirl color and is very dimensional. 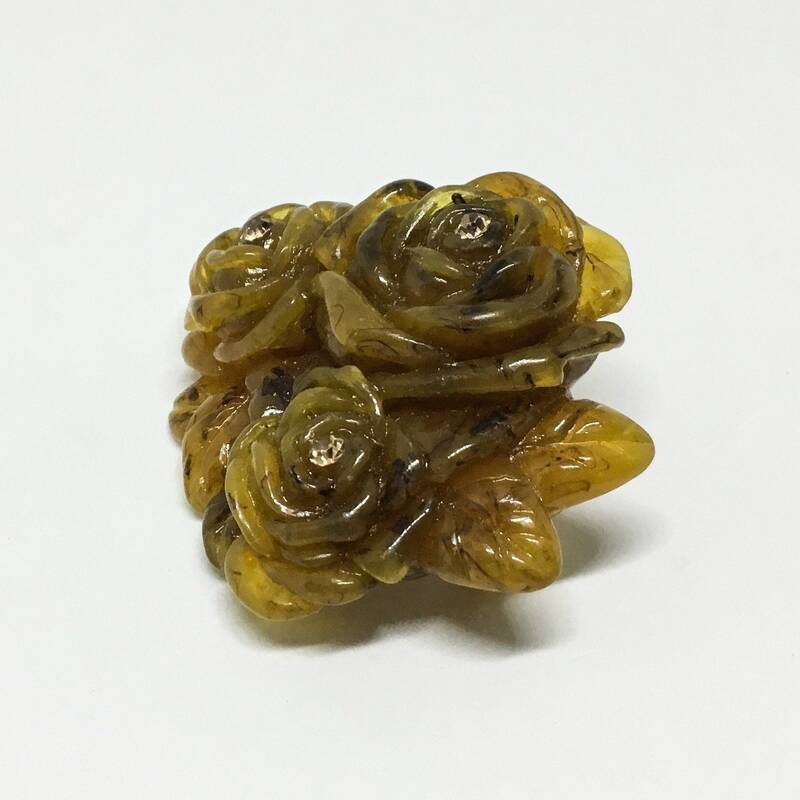 There are also leaves around each rose. 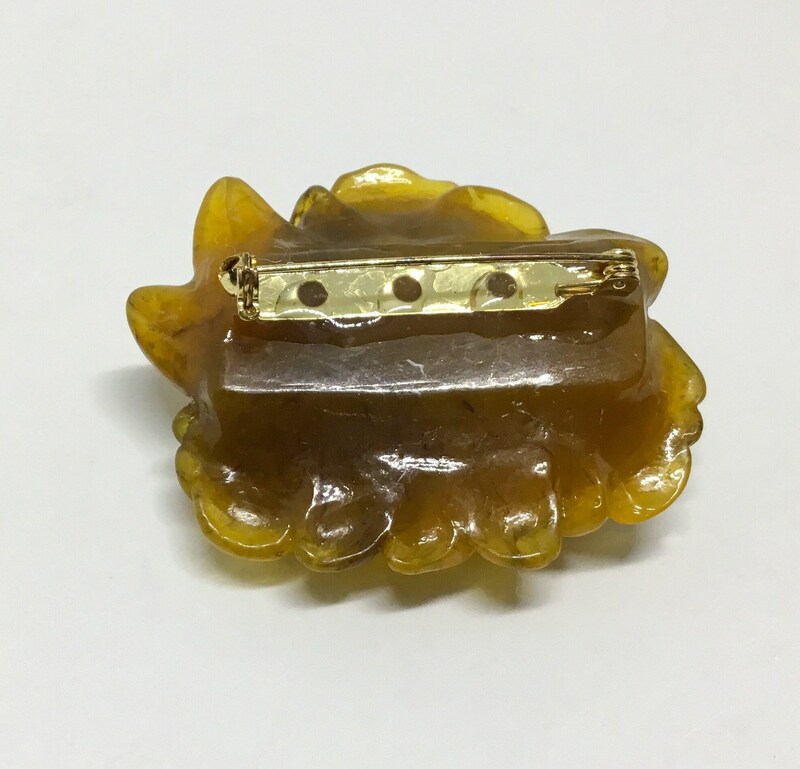 It measures 2 1/4” x 1 3/4” and the pinback is straight and works smoothly and securely.